In the first quarter of 2017, $8.27 billion in auto loan debt became “seriously delinquent,” according to the Federal Reserve Bank of New York. That number includes the debt of everyone who fell at least 90 days behind on their car’s monthly payments between January and March. Around this time in 2012, we hit a 14-year record low of $2.87 billion for new seriously delinquent auto loan debt in a single quarter. The amount we added in early 2017 is only slightly less than the $8.62 billion we all added to the seriously delinquent file at the height of the financial crisis in the third quarter of 2008. That means we’re flirting with new delinquent auto loan debt that’s just below where it was during the financial crisis — a time when a massive number of Americans could barely keep roofs over their heads or cars in their driveways. I shouldn’t need to tell you this, but I’ll say it anyway: This is not good, people. Of those in default, there is a segment we should be paying more attention to: subprime borrowers. Ten years after the financial crisis, the phrase “subprime loan” still sets off alarms in our heads. But we’re not talking about subprime mortgages here — we’re talking about car loans, which are entirely different animals. Let’s say you have a good credit history and make a decent wage, and every time you have ever borrowed money in the past, you have been diligent about paying back every penny of it on time. When you’re in the market for a new car, your loan would likely fall in the “prime” category. Your lender would likely be confident that you could afford to finance your new Toyota Camry, and if a minor personal crisis happened, you could keep up with the payments. The risk in allowing you to finance this car is minimal for your lender. But let’s say you can’t check all those boxes. If your credit history is less than stellar, you’ve got two options: Agree to the terms of a subprime loan agreement, or don’t buy a vehicle that could be necessary to get to work or get your children to and from school. The terms of a subprime auto loan agreement can vary between lenders, but this is generally a loan category for borrowers with lower credit scores — usually below 620 — who likely also have a high ratio of debt relative to income, said Mark Flannery, finance professor in the University of Florida’s Warrington School of Business. “Those loans are collectively called ‘subprime,’ indicating that there are not really strong credit (scores), but they may be strong enough borrowers to give people money and expect that they will pay it back,” Flannery added. Right now, subprime loans make up a only a small percentage of auto loans — about $25.9 billion of the nearly $1.2 trillion industry — but subprime borrowers are also much more likely to default on their loans. It’s important to note that the subprime auto loan industry is only a fraction of the size of the subprime mortgage industry. So even if delinquency rates keep rising, it would not be nearly bad enough to send the economy spinning into oblivion like the mortgage crisis did. 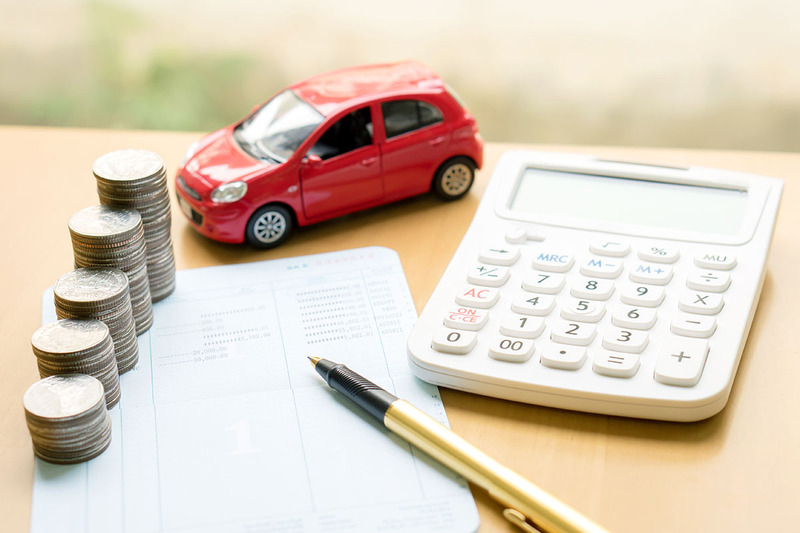 Though auto loan default won’t send the country into financial collapse, signing an agreement you don’t understand and can’t afford could cause a world of trouble for you and your family. There is no standard limit on how low your score can go and still qualify for a subprime loan — that depends on your lender. But the riskier you are as a borrower, the more the terms of your loan will likely benefit your lender instead of you. That need for this kind of service and lack of strict regulation can mean higher interest rates and, in the worst cases, massive penalties when borrowers can’t keep up with their payments. For example, if you have a credit score that’s nearly perfect, you could see interest rates of 3.6% or lower. But if your credit score drops below 620, that same car could come with an average interest rate as high as 15.24% for a 60-month loan. Most subprime lenders want you to pay them back. They lose money when you don’t repay your loan. “That kind of subprime lender wants to make sure that whatever burden is being put on people’s finances, that the odds are pretty good that they are going to be able to repay,” Flannery said. Unfortunately, not all lenders operate that way. “Another kind of lender might have built into the contract some really onerous fees and penalties if there’s a bankruptcy,” Flannery said. “And there are some kinds of lenders who will count on there being a certain number of bankruptcies and collecting some of those onerous fees. What’s worse is how difficult it is to stop these kinds of lenders from causing so much harm. While consumer advocates call for more regulation to protect borrowers, limiting lenders could mean cutting off access to credit for some who really need it. That’s what makes it tough for regulators to draw the line. That means it’s up to you to protect yourself and ensure you’re not signing an agreement with a lender that’s hoping you’ll fail. It can be a tough call to make when a subprime loan is your only option. He has ways you can perform a financial self-assessment before you make a mistake. All it requires is you honestly answer the following questions about yourself. Suppose you lost your job, your hours at work were cut back, or you or someone in your family got sick, would you be able to pay this auto loan?